There is a reason that bird watching and photography are classic pastimes: birds are some of Mother Nature’s sharpest dressers. In the wild there are many kinds of animals that seek to hide or blend into their surroundings as to avoid danger. The following birds, on the other hand, are just the opposite — they seek to stand out and show off. What’s more, many of these birds have interesting and quirky behavior, especially when it’s mating season, so read on to learn about these beautiful birds and their funny personalities. These birds are fans of having cool mohawks. Often found in Afro-Eurasia, these birds actually like to sunbathe by spreading their wings and tail feathers on the ground and cocking their heads upwards. They’ve been known to take sand or dust baths as well. What’s more, their name is actually an onomatopoeia. These bright birds are native to western China. That orange cape they have around their necks actually serve a purpose: when it’s time to find a mate, a male will spread his cape like a fan to show off his colors. Because of their funny appearance, puffins are sometimes called “sea roosters” and “clowns of the sea”. 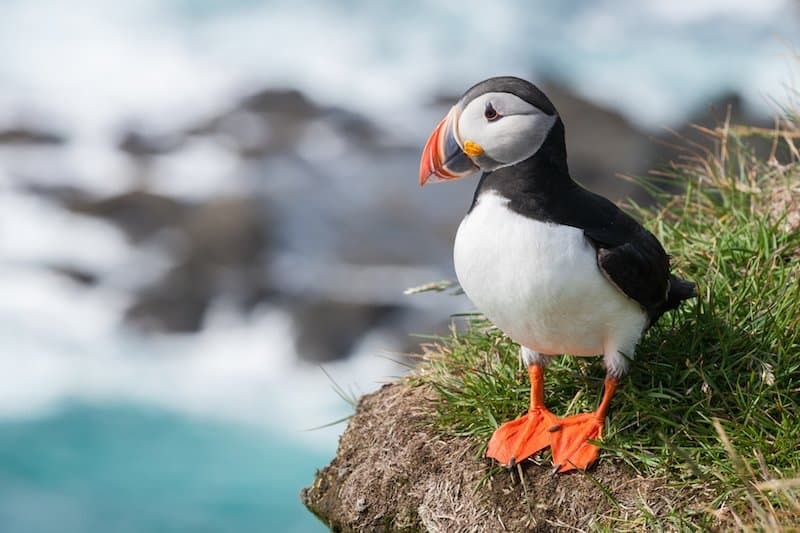 Atlantic puffins feed by diving for fish, but they sometimes munch on other sea creatures such as squids and crustaceans. 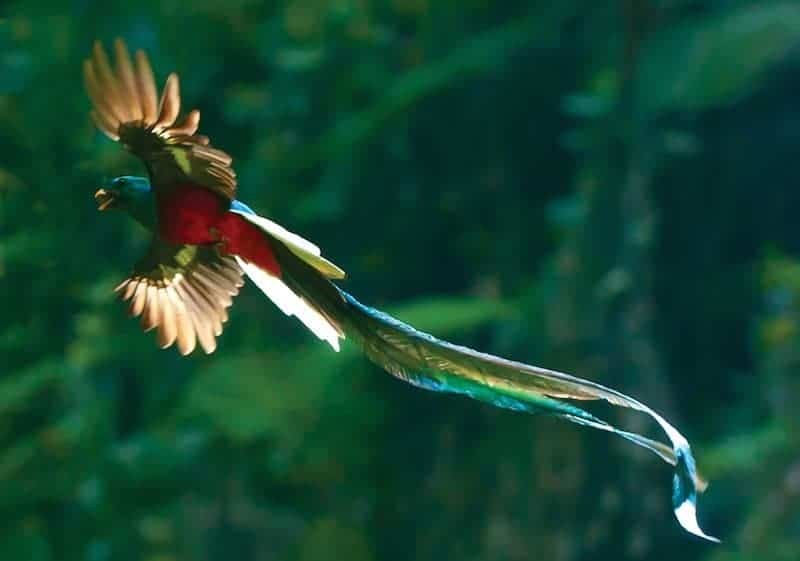 These birds are native to the forests of Central America. 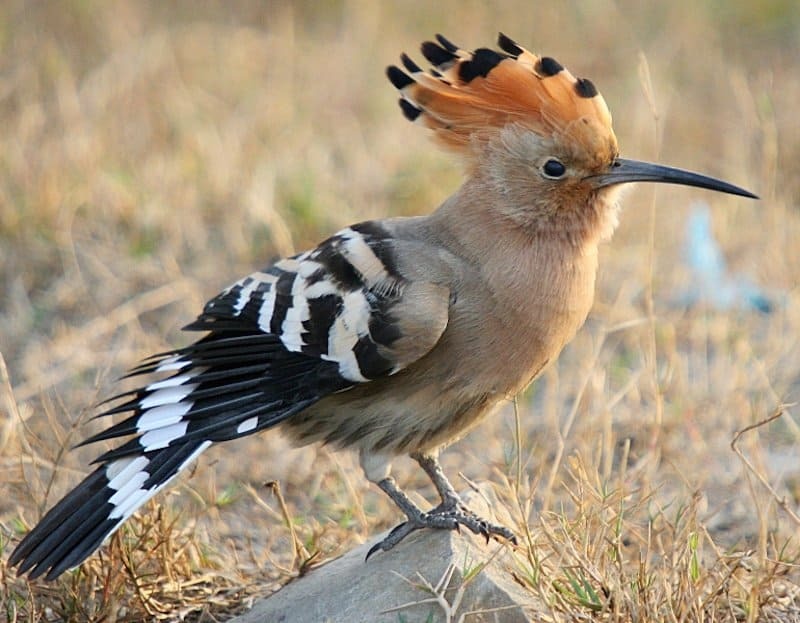 Not only do they have an odd assortment of feathers and a wacky hair-do, these birds also have a healthy appetite. They’ll eat anything from lizards, insects, small creatures, and even fruit. This colorful parrot looks like some wild artist painted all over him. 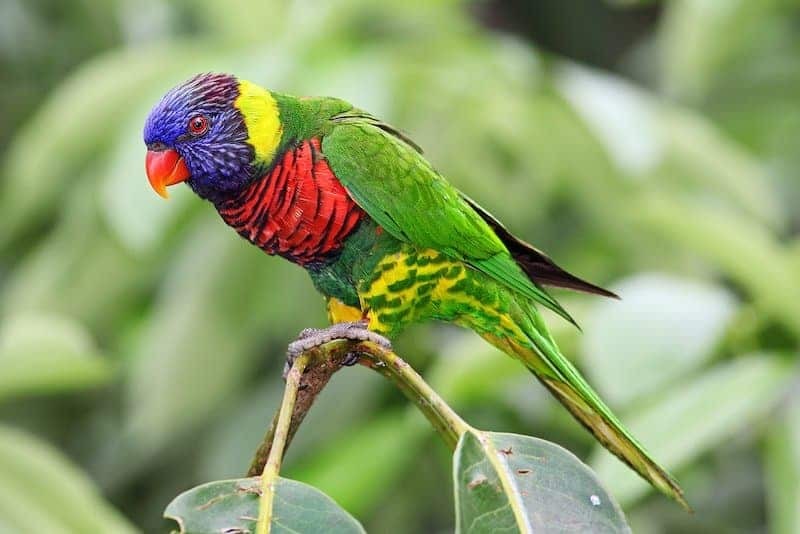 Rainbow Lorikeets are seen often along Australia’s eastern seaboard. They love to hang out in rainforests, woodland areas, and coastal bush. They can also become drunk, usually by consuming fermented nectar, which has been known to last for months. As their name implies, Kingfishers are skilled fishers. 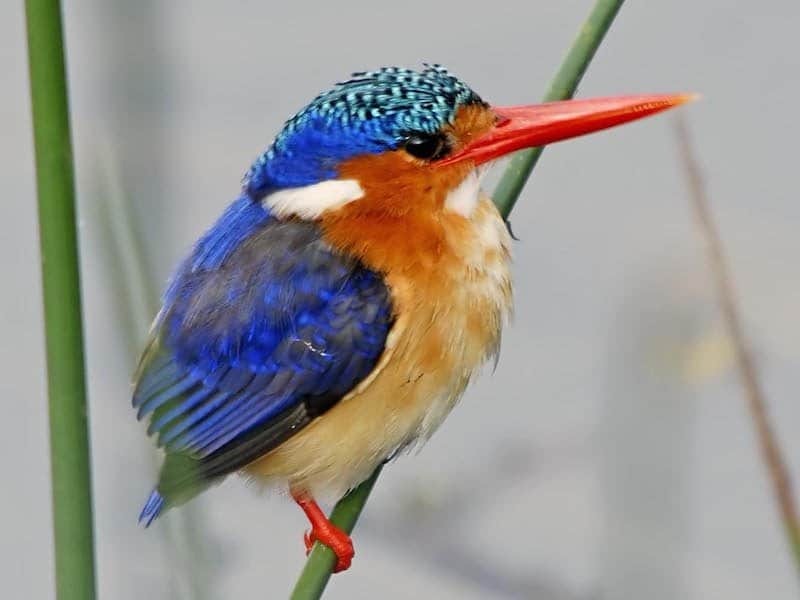 Thanks to their large, strong bills, Kingfishers can eat a wide assortment of foods besides fish — frogs, insects, crabs, mice, lizards, and even other birds. When they hunt, usually they find a perch and wait to spot prey. Once a victim is caught, a Kingfisher will bring it back to its perch and whack it to death. These beautiful blue parrots, a.k.a. Indigo Macaws, are a more rare member of the Neotropical parrots referred to as macaws. 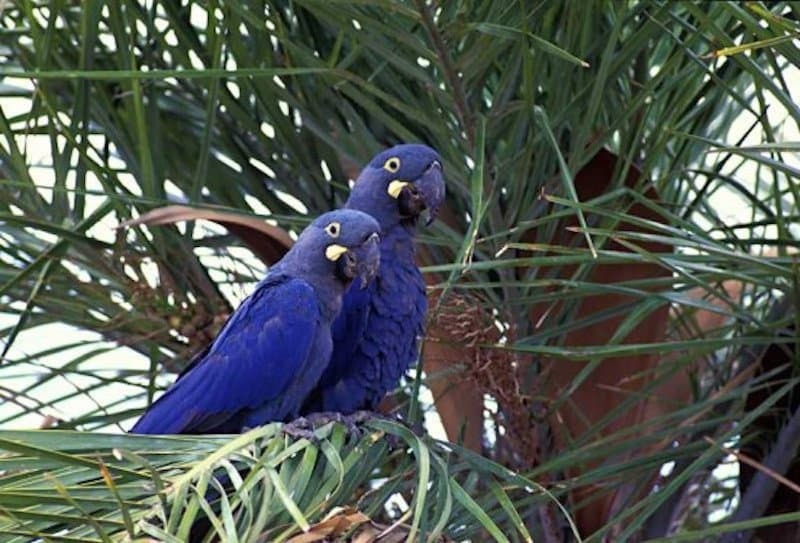 These parrots are very blue, but if you look closely you might see a slight tinge of green. 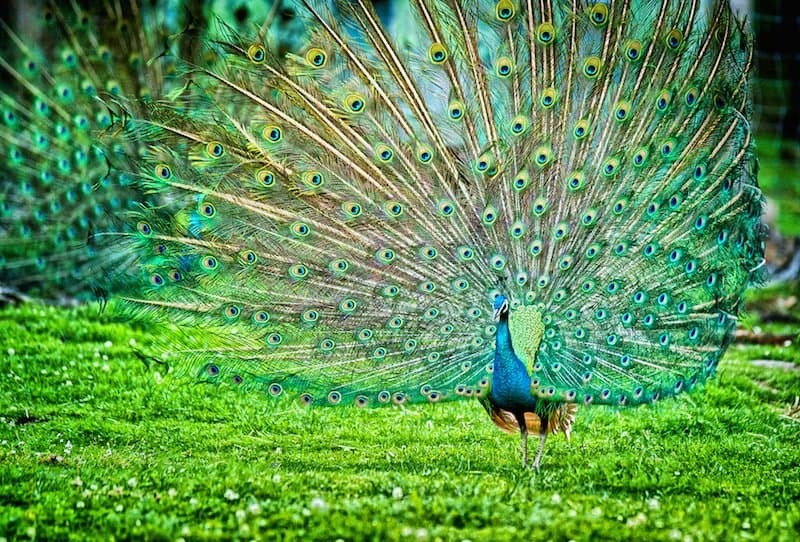 Peacocks are definitely one of Mother Nature’s most flashiest dressers. 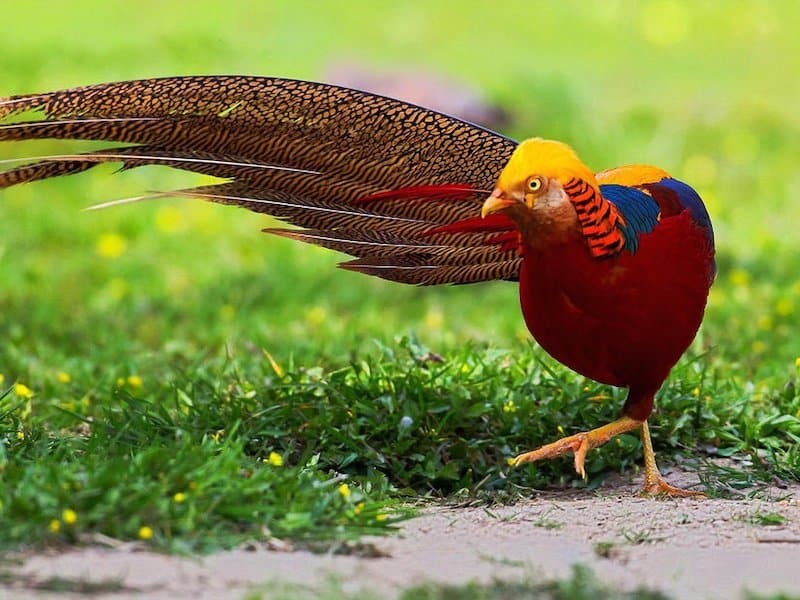 They are pheasants, and they are known for their remarkable tail feathers, which when spread show off incredible “eyes”. These feathers are used in courtship displays and mating rituals, and the females often choose mates based on the length of a male’s feathers. 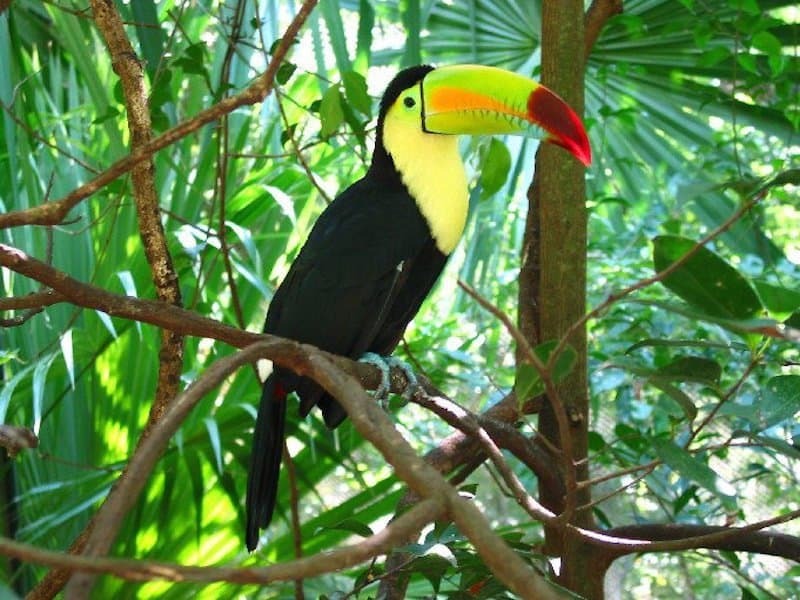 These birds are native to Belize. They are known for their very colorful bills, which come in a wide assortment of bright colors. But they’re not just flashy birds: they are known for being fearless, as they calmly wait out even the most severe storms. 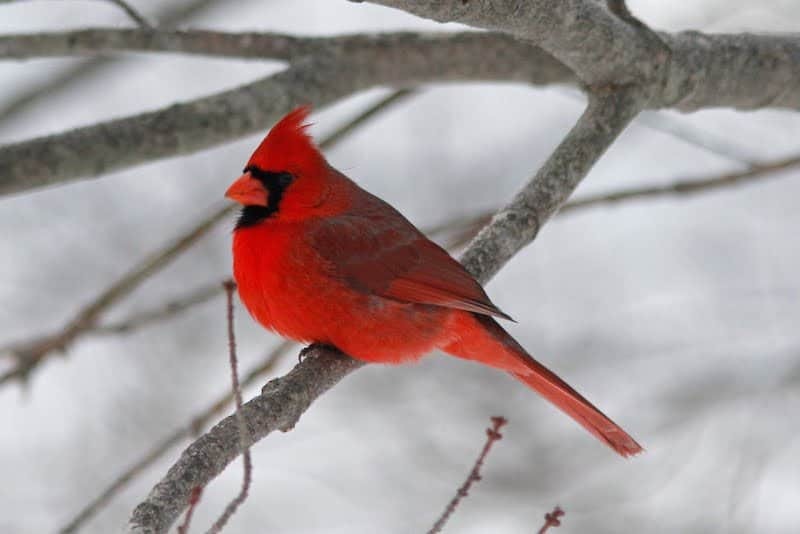 You can never miss spotting a Norther Cardinal if you’re in their habitat. Their hot red feathers and wacky, pointy crests will catch anyone’s eyes. What’s more, they keep their red plumage even in the winter. In the summer, they are fans of whistling at dawn. No list of beautiful birds would be complete without flamingos. These oddly pink birds are often found in southern and western hemispheres (and of course on people’s lawns as plastic ornaments). 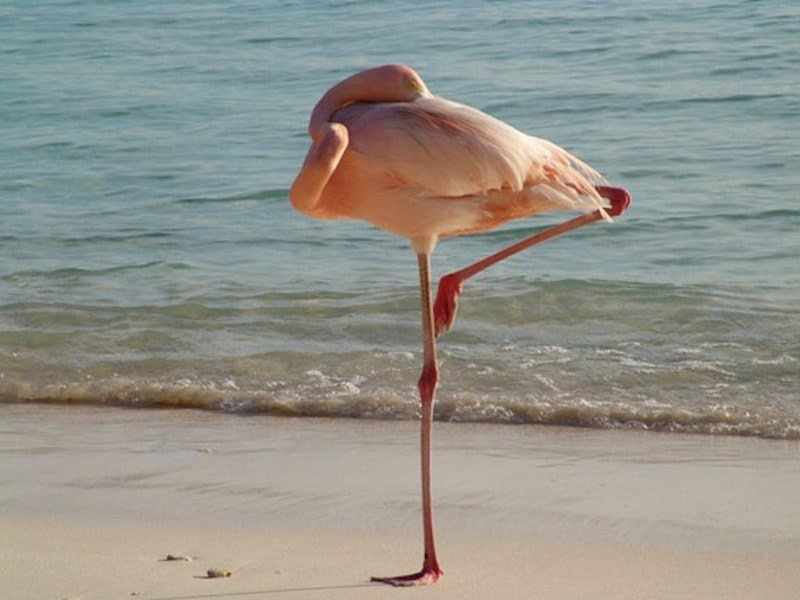 They are extremely good at balancing: they are capable of standing on one leg for hours at a time. 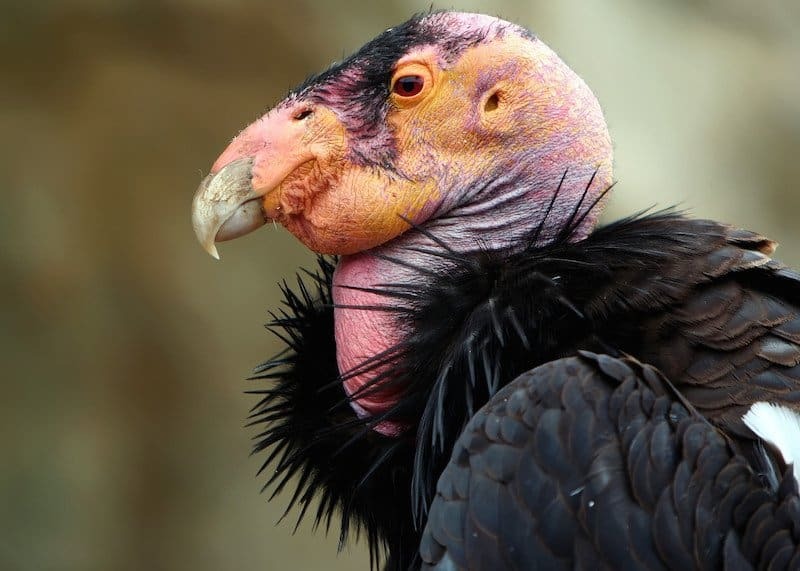 California Condors are the largest land birds in North America. They have an odd violet tinge to their skin, and sometimes even sport a strange unibrow. Unfortunately, these big fella’s are endangered. These birds don’t stand out with bright colors as do some others on this list, but on closer inspection, their elegance becomes apparent. They have sleek, smooth brown feathers, with just the right amount of bright highlights on their tail feathers. Their funny-shaped crests give them a slightly comical aspect, too. These birds are small, with a beautiful mix of black and yellow feathers. 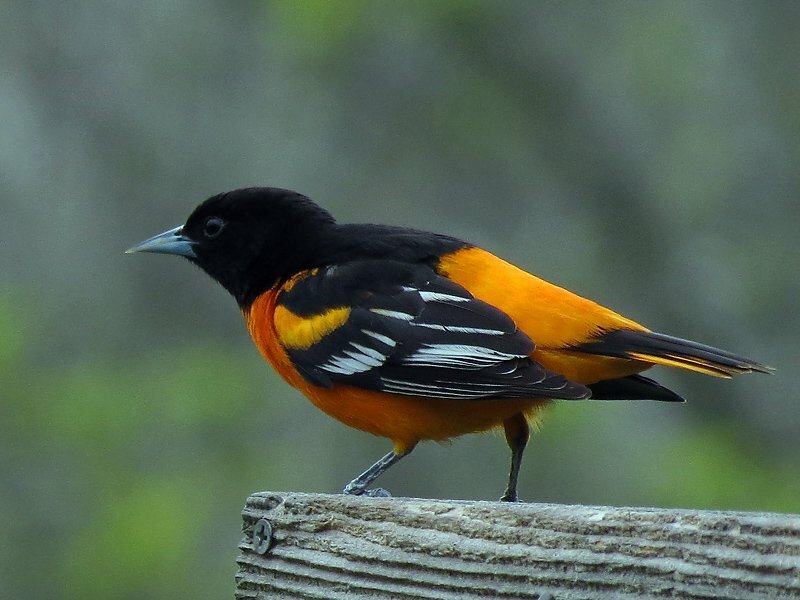 What’s more, they have a baseball team inspired by them – the Baltimore Orioles. These birds are generally solitary until mating season. 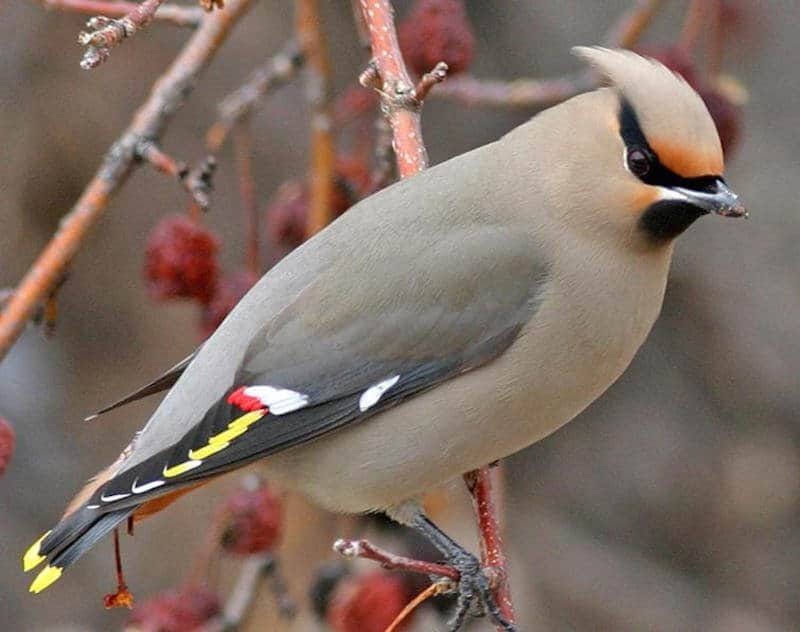 The males are known for their singing; their chirps have been described as loud, flutey, bold, and buzzy. 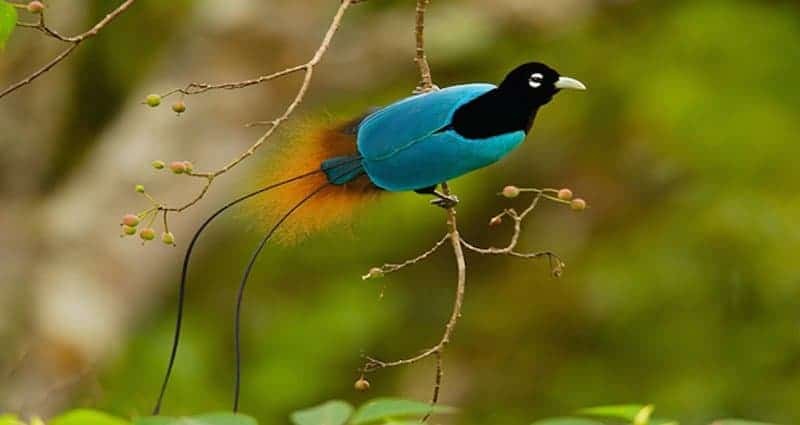 The birds-of-paradise is a group of birds often found in New Guinea, and the Blue bird is likely the famous one of all. Not only are they beautiful, but the males perform hilarious courtship displays; they’ll hang upside down from branches, spread their plumage, and sing in a low, throaty voice.